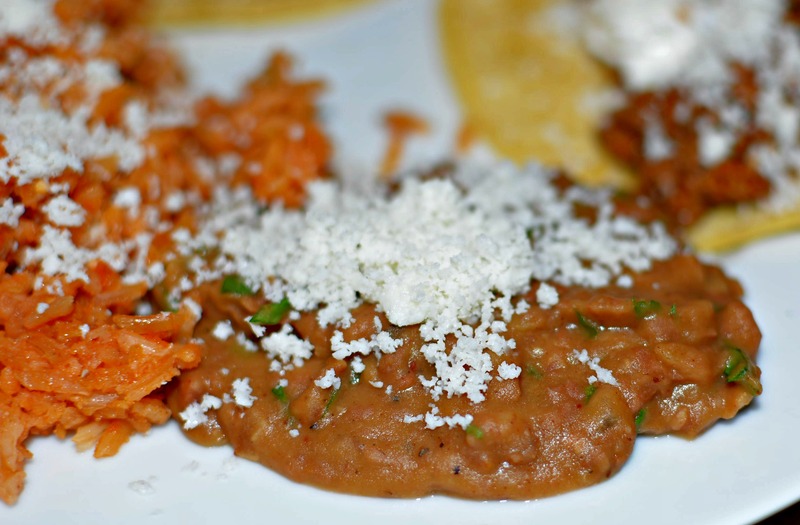 These refried beans go down as the BEST. EVER! Only a few minutes to prepare and packed with flavor, you’ll never want restaurant beans again! My hubby and I are huge Mexican food lovers. Anything from enchiladas to tacos, Queso to salsa, and of course, rice and beans! Each and every time we go to our favorite Mexican restaurant, we always say how fun it would be to try our hand at homemade versions. Last week, we did just that! 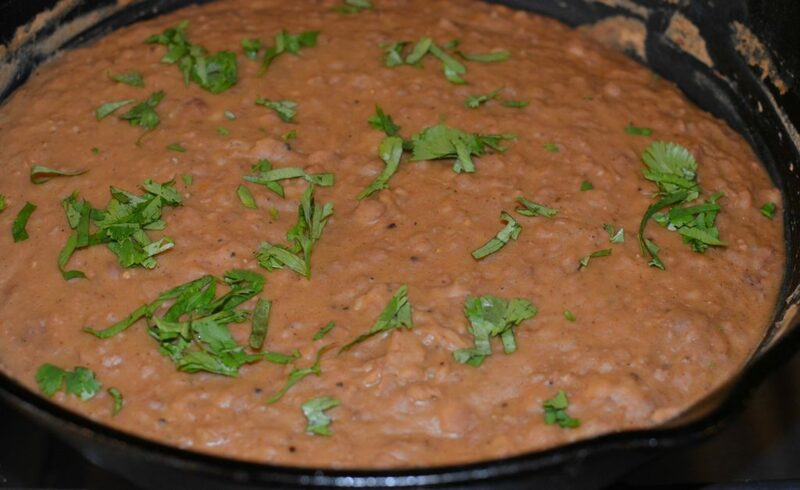 We made tacos (using homemade taco seasoning), Mexican rice (recipe coming soon), white Queso (recipe coming), and these amazing refried beans. We simply played around with ingredient combinations, browsed Pinterest for inspiration, and BAM……. these tasty beans were just what we were on the hunt for. Using already cooked Pinto beans, we were able to have these ready in no time. Of course, you can cook your own beforehand if desired, but since we were making so many recipe at once, we opted for the short cut! These had a slight kick to them, so if you like less heat, omit the Cayenne pepper. If you like things even more spicy, kick it up a notch and add another dash. Feel free to play around with the ingredients and really make these your own if desired! 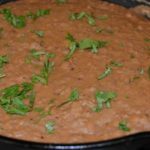 Taking only minutes to prepare, these beans are packed with flavor and will have you thinking you are enjoying restuarant quality beans while in the comfort of your own home! In a cast iron skillet (or regular if you don't have cast iron), cook the bacon until crispy. Once cooked, remove from skillet, crumble, and set aside. Add the onion to the skillet and allow to saute in the bacon grease until golden brown and soft. Sprinkle in the chili powder and cayenne pepper. Stir. Pour in the beans and chicken stock. Using a potato masher or large fork, mash beans to desired texture. Stir a few times and keep over medium heat until heated through. Stir in the cilantro, bacon, and desired amount of salt/pepper. Serve!! *Garnish with additonal cilantro and shredded cheese if desired.